PORTLAND, OR - DECEMBER 22: Wilson Chandler #21 of the Denver Nuggets goes to the basket against the Portland Trail Blazers on December 22, 2017 at the Moda Center in Portland, Oregon. PORTLAND, Ore. – Nikola Jokić sized-up the situation and the defender. It was Jusuf Nurkić, guarding the Nuggets center out at the 3-point line. Jokić put his head down, drove the ball right by the Blazers center, hitting Nurkic with a chicken-wing back-elbow on the way in for a dunk. Yep. Friday night was Statement Night at the Moda Center. And plenty of Nuggets had statements to make. The first? A team statement. The Nuggets controlled the pace and dominated from start to finish in a 102-85 victory, winning for the first time in Portland since Feb. 27, 2013. It was fueled by defense and snapped a nine-game losing streak in Rip City. There were several individuals that made it happen. And almost all of them had something to prove. 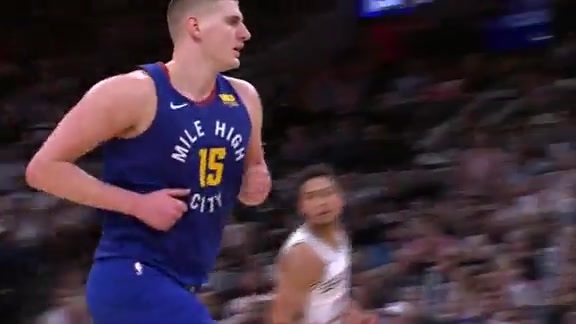 The loudest statement was made by Jokić. Games in Portland had not been kind to him since Nurkic was traded away. Friday was different. The dunk, which came in the second quarter, was the clearest sign that nothing but dealing out the punishment was on the agenda. 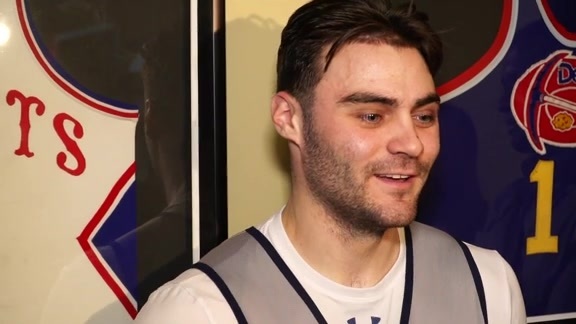 Jokić rolled his eyes at the notion he brought a little extra to the latest matchup against Nurkic, but Malone was eager to see how things would go down. Jokić had a team-high 27 points on 12-of-21 shooting with nine rebounds and six assists. He scored every which way, from the dunk to layups to a step-back one foot 3-point jump shot. Jokić had it all rolling, and Portland had no answers for him. 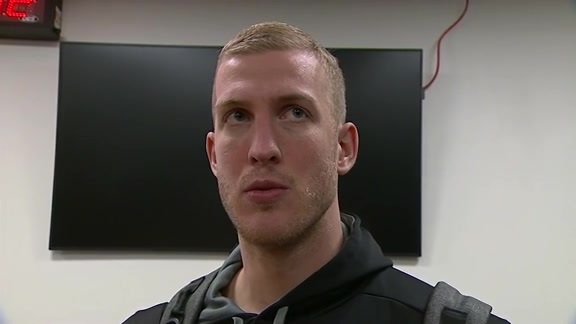 The next statement was made by Mason Plumlee. He put his last outing in Portland to rest with a solid performance on Friday night that started by being physical on the defensive end. “He is the anchor of our defense,” Malone said. Plumlee had five blocked shots and a steal to accompany eight points and five rebounds. He spearheaded a Nuggets defensive effort that held Portland to 42 percent shooting and out-rebounded the Blazers 49-34. Wilson Chandler’s statement was on offense. While he has been a big contributor in other categories, he hadn’t scored 20 points in a game. But he put his most aggressive offensive performance of the season on the court against Portland. When the dust settled, he’d scored a season-high 21 points and grabbed 11 rebounds. Chandler scored eight of those points in the third quarter. Sprinkle in 17 points from Gary Harris, 64 points in the paint, and a game in which the Nuggets took much better care of the basketball – just 14 turnovers for 10 points – and it all equaled a significant road victory in what was the first game of a back-to-back. "I'm just enjoying the process. It was a good workout."